Description: Census is a highly scalable Web-based bug tracking and defect tracking tool that can also track change requests, support calls, test cases, timesheets, and much more. Features include full customization capabilities, Visual SourceSafe integration, automatic e-mail notifications, user/group/field-level security, role-based workflow rules, custom Web views for different groups of users, built-in reporting, attachments, and change history tracking. Description: It is a professional tool for serial port, TCP/IP, UDP, I2C, HTTP communication application's design, development, debug and test. Send/Receive data at very high speed. Support data in text, hex and decimal format. It is also able to create complex structure data, like ZigBee/XBee API dataframework or GIS Garmin data package. Data can be sent automatically with flexible auto sending rules. Perl, Python and Ruby script are supported. Description: DTM File Factory is a template based test file generator. The software supports a lot of data sources: databases, Excel spreadsheets, text/CSV files, XML documents, web files, regular expressions, etc. Value library with most useful data: countries, cities, names, etc. Built-in engine with more than 50 data generation functions. Easy GUI with fast preview. The generator is suitable for testers and QA engineers for realistic test files creation. 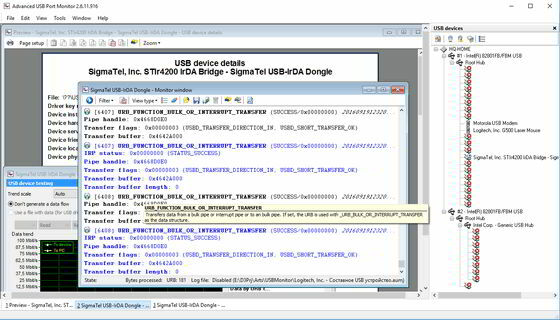 Description: Logging is very important in any application to make debugging easier during the development and to monitor and keep traces of the execution during exploitation. Iris-Logging is a powerfull monitoring and debugging server written in Java. It helps you making debugging easier during development and to monitor and keep traces of the execution during exploitation. Description: Look RS232 is a tool for debugging computer connection with peripheral devices using COM port, such as modem, mini-ATS, projector etc. Its easy to use interface guarantees an easy work with Com-port. Look RS232 can send data through COM port, receive data from an outer device through COM port, it has port indication as well. Look RS232 supports connection at the standard speed of 110-15200 kbit/s, it supports commands of COM port program control. Description: PE Explorer provides software engineers the necessary tools for disassembly and inspection of unknown binaries, modifying the properties of executable files and customizing and translating their resources. With PE Explorer, you can apply a professional approach to research and reverse engineering of win32 PE executables. PE Explorer comes with a Resource Editor, Exported/Imported API Function Viewer, API Function Syntax Lookup and a Disassembler.